Cards copyright U.S. Games Systems, Inc. 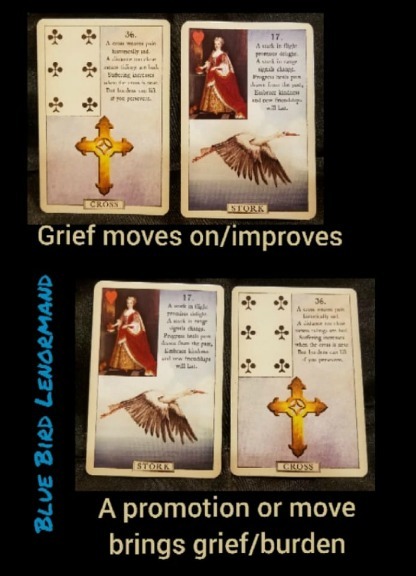 This week, I started creating some "Little Lenormand Bits." 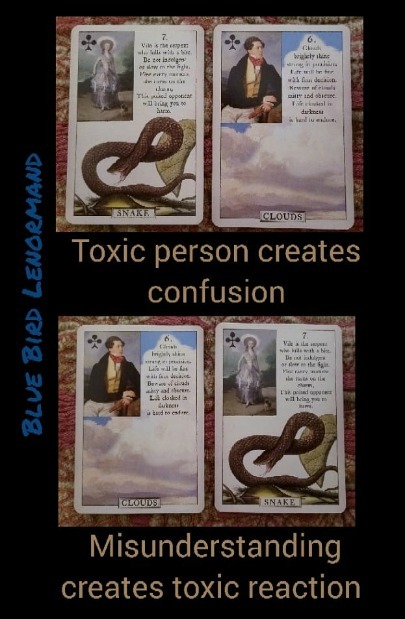 These are bite-sized samples of how Lenormand cards can shift in meaning based on their order. 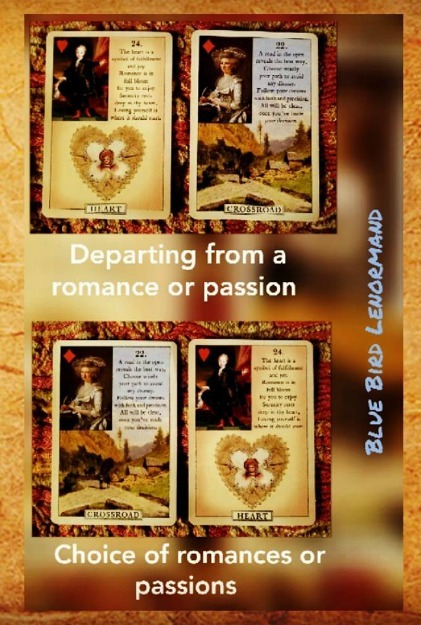 Those learning to read the Petit Lenormand system often struggle with interpreting meaning based on card order, and I hope these simplified examples help "bring it home" better, so people can read the cards better as a sequence. 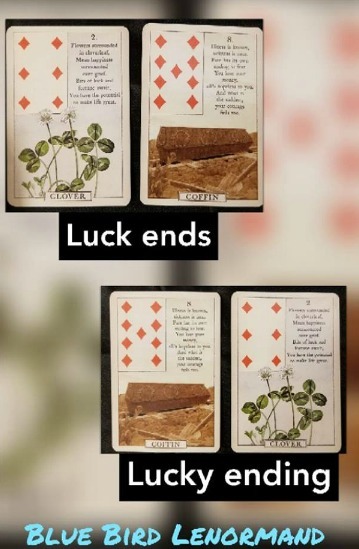 While these nuggets simplify the cards and we don't have the context of a question, these help provide fundamental reading basics that I hope shed light on the reading system for students of the Petit Lenormand system. Remember, the first card is the topic, and the card/s that follow describe that topic or tell us what happens as a result. The follow-up cards help describe the first card. Wishing you reading clarity and joy!